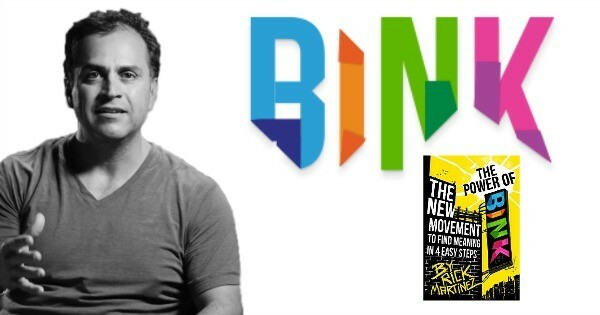 Today's guests on Fire and Adjust Rick Martinez, the Founder/CEO of ProjectBINK and author of The Power of BINK: The New Movement to Find Meaning in 4 Easy Steps. Rick is a United States Army Veteran, writer & author, mentor and amazingly successful entrepreneur. He founded MedTrust, a medical staffing company that grew to become a national business with over 600 employees and over 50 million in annual revenue. You will want to listen to the story of how Rick started this company in the show. He also founded Alamo CrossFit, one of San Antonio's first CrossFit companies. Rick got Alamo CrossFit of the ground with some good old fashioned grass roots marketing plan and hard work which he likes to refer to as a Gratifying Grind. Rich successfully sold Alamo CrossFit and is working on his current project, Project Bink and his book The Power of Bink. Rick offers tons of great advice and goes into some detail about what exactly ProjectBINK is and how we can take advantage and be ready for our moments. Has something happened to you that really makes you think about things?